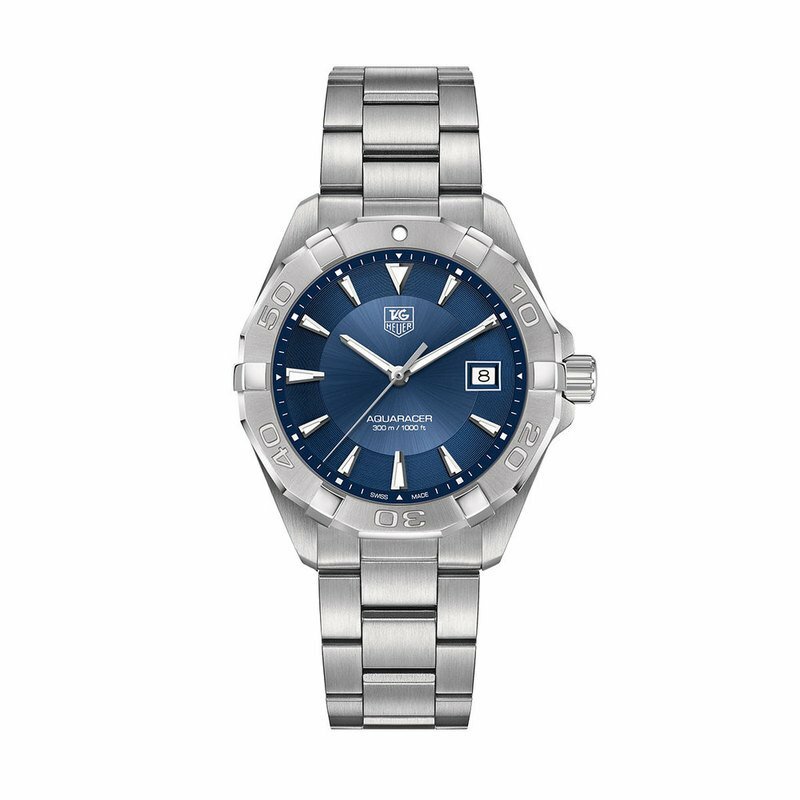 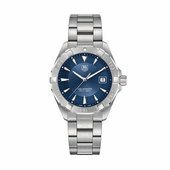 Stylish and ready for action, this AQUARACER 300M men's watch from TAG Heuer features a Swiss quartz movement set in a 40.5mm stainless steel case with unidirectional turning bezel. 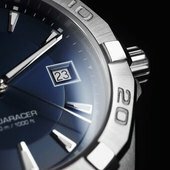 Its blue dial, topped by a scratch-resistant sapphire crystal with anti-reflective treatment, has hand-applied indexes with luminescent markers and hands, all essential for optimal readability. 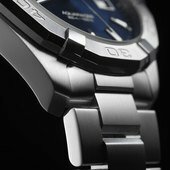 The stainless steel bracelet includes a diving extension and secures with a push-button fold-over clasp. 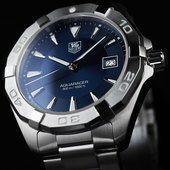 The men's watch is water-resistant to 300 meters.